Monster Hunter: World Debuts Kulve Taroth, Sieges | Nerd Much? Monster Hunter: World sees its next big in-game event taking place later this week. The Elder Dragons are emerging in the New World with the next in line being the Kulve Taroth. And it’s up to you and your crew to stop it. The Kulve Taroth is a sight to behold. The Elder Dragon is coated in a heavy golden mantle, thus making it capable of taking a substantial amount of damage. It sounds as though it’s going to take a small army to stop it. The creature will make its debut in Monster Hunter: World tomorrow (April 18th) beginning at 5:00 p.m. Pacific, 8:00 p.m. Eastern. “In this new quest type, we invite all of you up to the Gathering Hub to coordinate your hunting efforts with all 16 players in the lobby. Up to four parties of four hunters each can team up and contribute progress, work together to collectively break more parts, and reap greater benefits of hunting the same Kulve Taroth. As you attack the Kulve Taroth, you’ll dismantle portions of its armor. As those pieces break off, you can collect them and discover that some are actually usable weapons with various levels of stats. You’ll also collect materials that you can take to the Smithy. There, you can utilize blueprints to craft majestic α and β armor sets. Capcom is also offering a new style they are calling the Layered Armor Set. You can earn this by completing a special delivery quest after concluding your first Kulve Taroth Siege. 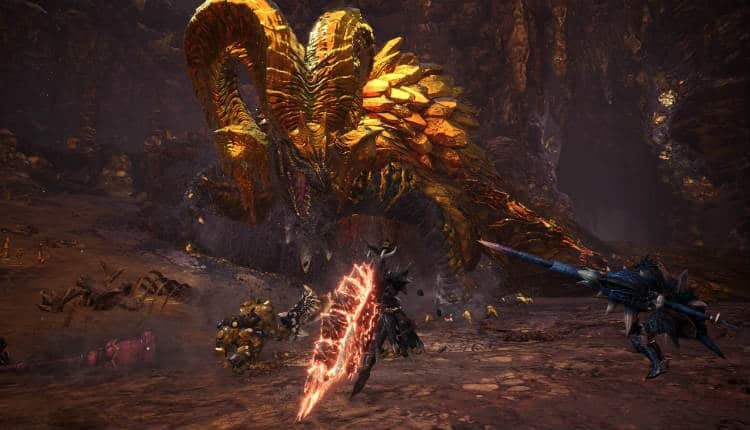 Monster Hunter: World’s The Siege of Kulve Taroth is a limited time event. However, Capcom did state that the Elder Dragon would be returning at a later date.